These trees provide beautiful early spring flowers and dark green leathery leaves through the growing season. 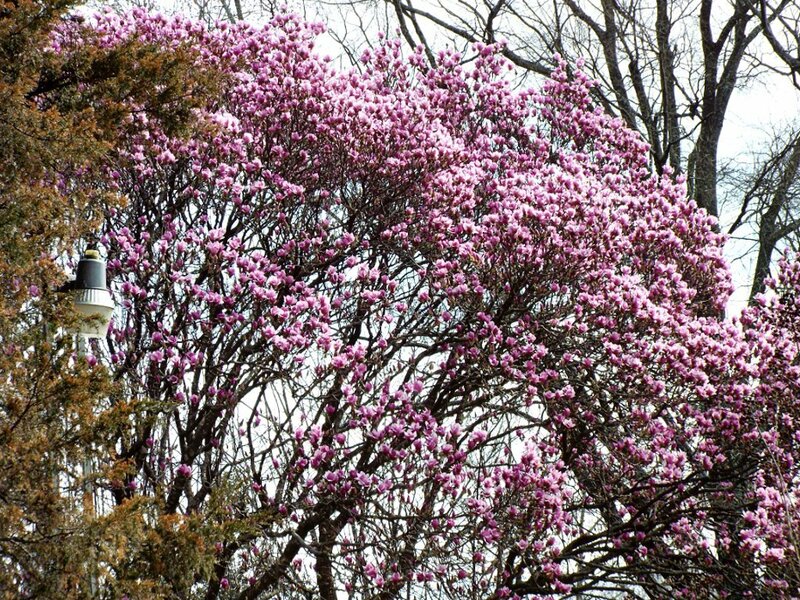 This guide is about growing magnolia trees. I have a magnolia tree that I've been struggling with for years. The problem is no or very few blooms. I've tried a number of things. Still no use. 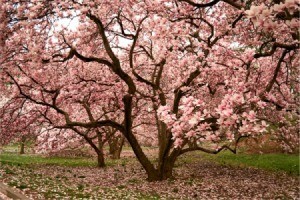 A Magnolia tree planted from seed can take 15 to 20 yrs. to bloom. If you plant a tree, it can take 3 or more yrs. to bloom. Here are some tips that might encourage it to bloom faster. 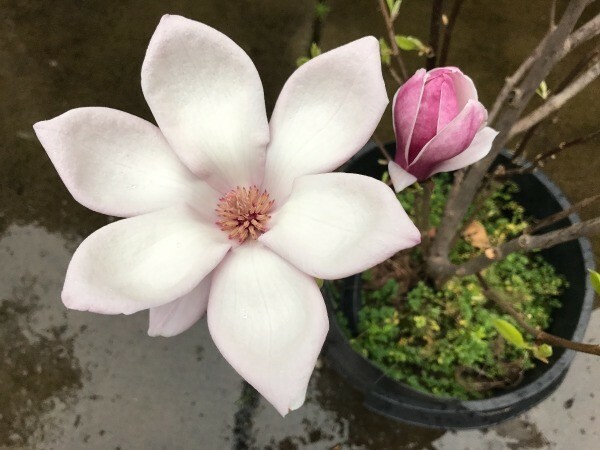 I am new at growing magnolia trees. I harvested seeds from my son's southern magnolia last year and planted them, I have around 100 seedlings. My question is about when to fertilize my seedling, and if i should leave them in a cold frame or bring them in for the winter. They were planted in small pots to start, then transplanted in to larger pots. I have some that are over a year old, some 9 months, some 6 months old. Pots range from 1 gallon pot to 4.5 . 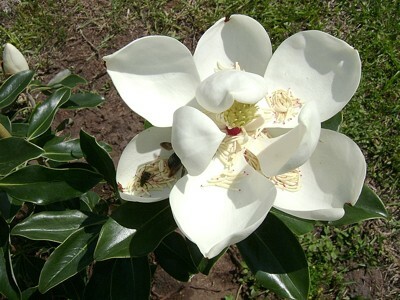 I also have 3 that came up first and are not anything like a magnolia tree. I have read that some seeds will produce freaks, well i have three. They are very different. My daughter calls them Magnolia Palm's. 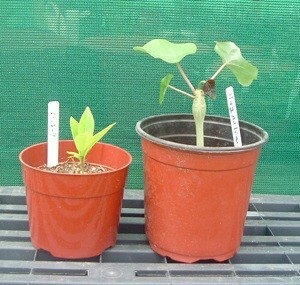 They are very different from the other seedlings, as seen in the picture I sent. The large one is the freak. I doubt those are magnolia mutants- they wouldn't be that distinct... unless you have exposed them to radiation! Most likely that other plant is some kind of elephant ear tropical plant. My own magnolia seedlings looked nothing like that. How do I take a cutting from a magnolia tree? 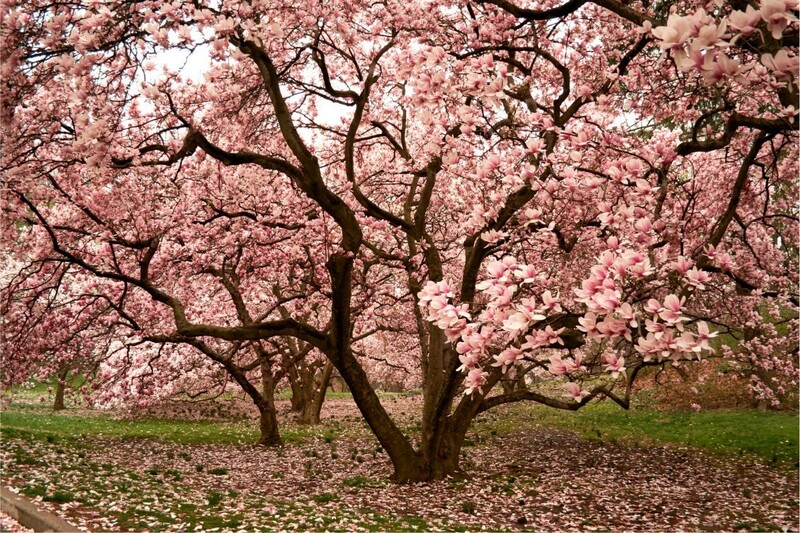 Question: How Do I Prune a Magnolia Tree? 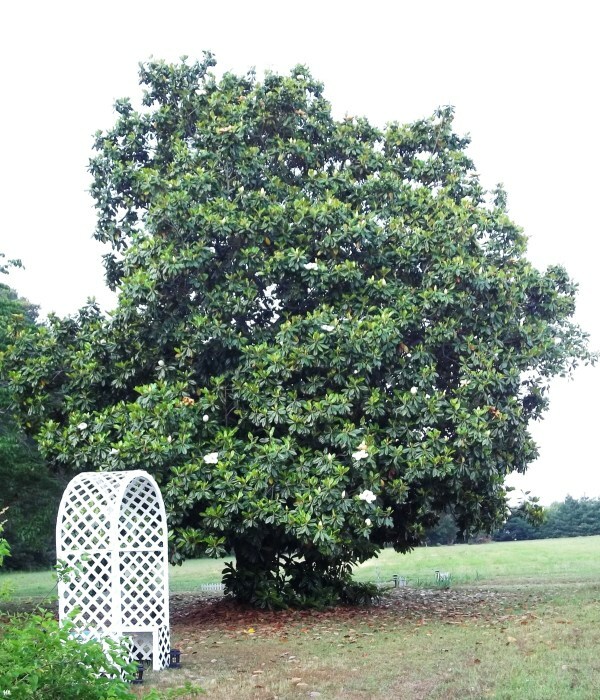 How do I prune a magnolia tree? 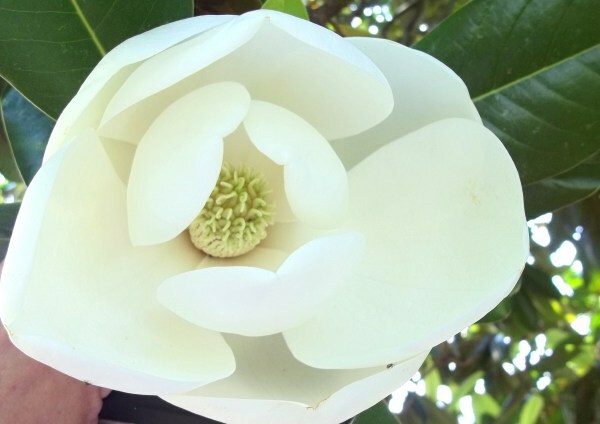 Our 50 foot magnolia is blooming, huge beautiful fragrant white flowers. Sweet smells of spring my favorite season. This tree proudly stands in our front yard. We love it as much as our wild birds do, they'll gather all up in this tree, and honest you would think the tree was singing. You can't see the birds; you can only hear their songs. My brother planted this magnolia this weekend. It opened up and has beautiful blooms. The smell is breathtaking. I saw three bees in the flower just loving it.